For some reason unknown to me, I've been receiving facebook messages and emails from both guys and girls who want to become models. Firstly, for anyone who doesn't already know this, I'm not a model myself, I'm not a photographer, designer, make-up artist or in any profession that hires models. However, what I am is a spectator to the asian fashion scene in the UK, and from what I've seen here are my tips to help you get started! 1. Have you got it? I don't want to shatter anybody's dreams here but let's be realistic - not everybody can be model. I think everyone can be beautiful in their own way, but anyone who's ever watched one of the modelling reality TV shows, like America's Next Top Model or Channel 4's The Modelling Agency, can tell you that modelling isn't just about being pretty. It's about how your look translates into a photo or on a catwalk and ultimately if your look can sell a product/service. In my opinion some important things any potential model needs to possess are: clear skin, height, a good work ethic, and confidence. Dream big, but be realistic: My advice for where to get started and gain some experience is to firstly think local. Look for make-up artists, hair stylists, photographers and events in your local area which are looking for models. It's worth noting that a lot of these positions are not paid - you might see the abbreviation TFP which stands for "time for photo" and essentially means your time is rewarded with the fact that you get to use the images in your portfolio rather than being paid with money. You need to use your own judgement when deciding whether to do a TFP job or event - for example if there are other models on the job who are being paid, why should you be working for free? So how do you actually find people to work with? Well there are a few places where I'm always seeing requests for models, the main one being facebook. How to find make-up artists on facebook: One of the easiest ways to search for make-up artists is to type the term "MUA" into the facebook search box (for anyone who doesn't know, MUA stands for Make Up Artist) and a lot of MUAs include the term in their facebook names. Don't automatically assume people will accept your friend request, but any who use facebook for networking will, then all you have to do is keep an eye out for any of their model requests. One thing you *shouldn't* do on facebook is constantly message people looking for opportunities, showing perseverance is one thing but if you are too full on this will just irritate them! Asiana Magazine - Open model castings at Asiana Magazine are rare but if you want to talk to interact with the team there, this is one place you can do so. 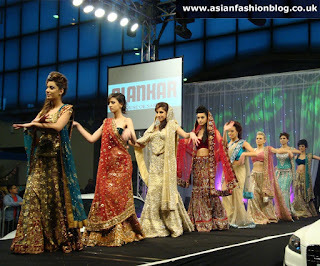 Asian Woman Magazine - Again, open castings are rare but Asian Woman Magazine are holding three wedding exhibitions in the UK in January next year (London, Birmingham, Bradford) so they could be on the lookout for models local to those areas at some point. The Models Portal - Lots of castings posted regularly on their page, I also spoke to the team at The Models Portal and you can read their modelling tips in an upcoming blog post. Asian Style Magazine - Magazine which publishes regional editions. As an alternative to facebook, another networking site you could try is ModelMayhem. I've not used it personally, so can't comment on the success rate for models finding work through it, but there are plenty of people in the modelling industry registered so it's one way to make connections. Modelling isn't always glamourous and you might not always like the clothes or the styling, but it's your job to work the look required of you and not to cause a fuss just because you don't like it. If you do have any concerns or issues, for example if you're not happy with showing certain parts of your body - make sure the photographer (or designer/make-up artist/stylist) is aware of this beforehand. Be respectful to everybody you work with, from the people who you might think have little importance to the people you want to impress. I know there will probably be people who aren't always nice to you, but if you're starting out and you want to be booked again then professionalism and being easy to work with are a big factor. Look out for Parts 2 and 3 of this article where I'll be getting tips from a Make-Up Artists point of view and a creative agency point of view. Nazma, this is a great post. As someone who hires both paid and unpaid models, I can tell you that a model's behaviour before and during a shoot where she is just getting pictures will almost certainly determine whether she ever becomes a properly paid model later! If you've got no portfolio, you are a huge risk on a commercial shoot. If the pictures are good and you understood what we were trying to produce, you will get asked back for paid work. For commercial shoot you need trained and paid models for your position will maintain. imlooking to start a modeling career in asian magazines, i had a very well know model on my facebook whome did not like to give any advice into how to get started. i know i have what it takes and much more to become one. i just find it strange that existing models can give a little advice as they feel under fhreat.